Welcome! 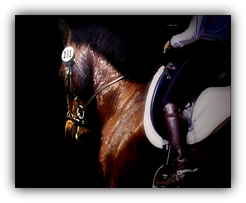 Here you will find websites and eBook downloads created by Bevin Allison for the purpose of educating the rider. You do not have to be a student to use any of the resources or educational materials at this time. However, there are future plans to create both "free resources for everyone" and "student only resources aimed at helping clients" reach their goals by providing more advanced materials to them. This page is going to be a work in progress so check back often and see what's new! If you have any suggestions for content to be included in future resources, please email Bevin and let her know. Hope you enjoy! Note: eBooks don't require a reader, because they come with their own. Read about "How to Ride a Horse" by Bevin Allison, by clicking here! : A great begginers website artical about the basics of horse riding. Will soon also be available as an ebook. Read about "How to Properly Lunge a Horse" by Bevin Allison, by clicking here! : A great begginers website artical about the basics of lunging a horse. Download the self extracting eBook version that you can take anywhere you go by clicking here.